I have a preteen daughter who is into all things France — Paris, specifically — and she loves French macarons. I also like macarons, and while I consider myself to be a skilled cook and baker, I think macarons are a time- and labor-intensive project. In most instances, I would rather purchase them ready-made. 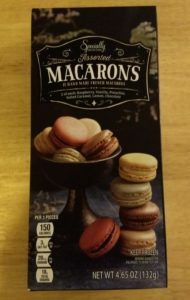 For a couple of years now, Aldi has been selling macarons as an occasional Special Buy (ALDI Find). This is exactly what I like because I can buy them for a lower price compared to other grocery stores, and I don’t have to slave away in my kitchen. 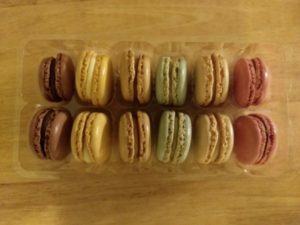 Aldi’s macarons are frozen and sell for $4.89 for a 4.65-oz. box that contains 12 handmade macarons. The box includes two of each of these flavors: raspberry, vanilla, pistachio, salted caramel, lemon, and chocolate. While they are advertised as French macarons, the box says they are a product of nearby Belgium. There are four servings in one package, and one serving is three macarons, which nets you 150 calories, 3 grams of saturated fat, 20 mg of sodium, and 18 grams of total sugars, with 13 grams of added sugars. Allergen alert: these contain hazelnuts, almonds, pistachio nuts, eggs, milk, and soy. They may also contain wheat, peanuts, and other tree nuts. Keep the macarons frozen and thaw just before serving. The package states you can remove your desired number of macarons from the packaging and arrange on a serving dish. Allow them to defrost for about 30 minutes at room temperature (this is how I serve them). Or, for “optimal taste sensation,” let them sit for about 45 minutes in the refrigerator and then 20 minutes at room temperature. Do not refreeze once defrosted. Store defrosted macarons in the refrigerator and eat within five days. My daughters and I really like Aldi’s macarons. We often grapple over who gets the coveted raspberry-flavored macarons because there are only two in each package. My lemon-loving daughter approves of the lemon macarons. 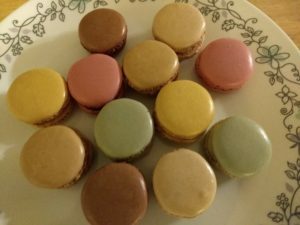 The vanilla macarons have uber vanilla flavor, and the chocolate ones are very rich. The salted caramel is probably my least favorite, but I’m just not a huge fan of salted caramel to begin with. Overall, though, there are no bad flavors in this box. My daughters and I also cannot tell any difference in quality between Aldi’s macarons and the macarons from Trader Joe’s, although Trader Joe’s flavors are different. The Trader Joe’s macarons retailed for $4.99 for a 4.2-oz. box of one dozen at the time of publication, so there is not a substantial price difference between the two stores with this product. 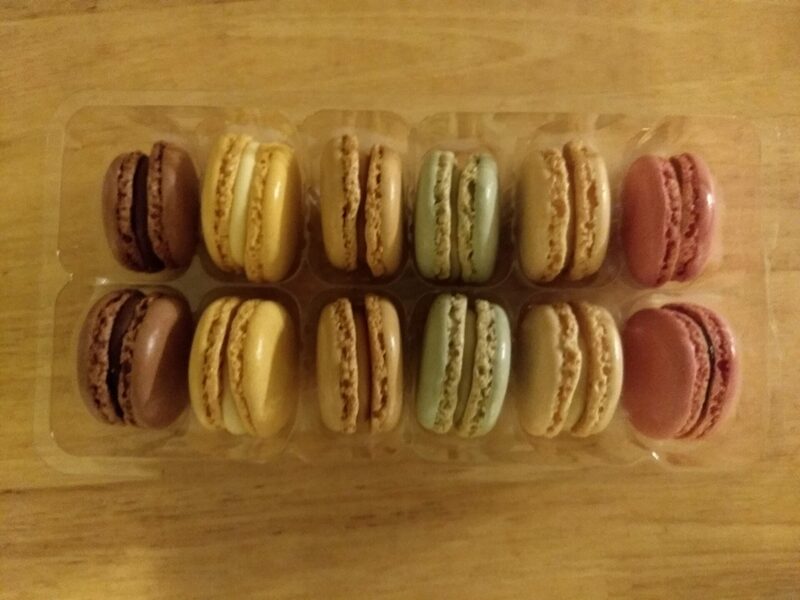 Aldi’s Special Buy (ALDI Find) Specially Selected Assorted Macarons are a bit pricey at nearly $5 for a dozen, but you’re not going to find them cheaper anywhere else because macarons tend to be expensive as a rule. They are high quality and virtually indistinguishable from Trader Joe’s macarons. We like the variety of flavors. Recommended. I tried the lemon one so far and thought it was too intensely sweet/sour. I was comparing it to one I had from a bakery that were superb,and larger,but they were also $2.00 each! So, for the price, these may be a good deal if the other flavors are less intense.